As a parent and as a pet owner, I know that household odors happen! From dirty socks, to kitchen smells, to bathroom smells, it is important to be able to freshen up and get a clean, appealing scent to help you relax and feel comfortable in your space. That is why I am so excited to partner with Procter & Gamble to let you know how Febreze ONE can help eliminate household odors without the use of aerosols, dyes, or heavy perfumes. You are going to love this nature-inspired fabric and air mist formulation that will eliminate odors and leave your home with a refreshed, light scent you can feel good about. Eliminate Household Odors- Not Just Mask Them! I love that Febreze ONE uses new sprayer technology to deliver an ulta-fine, semi-continuous mist without the use of aerosols and it has the same odor elimination power as other Febreze products. One of the key differences from other air fresheners is that Febreze actually cleans away odors, not just masks them with perfumes. Febreze ONE has odor trappers, odor converters, odor neutralizers, and odor magnets to help ensure that you eliminate household odors. 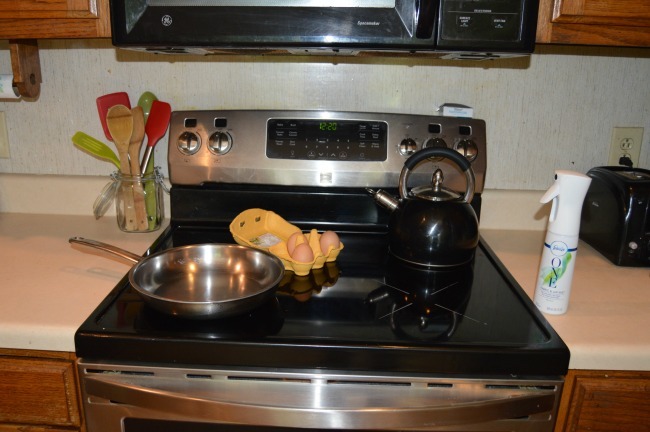 After all, you don’t want to have to smell this morning’s scrambled eggs all day long! I know I really appreciate this power to eliminate odors in my house, from my fabrics, and even in my car. 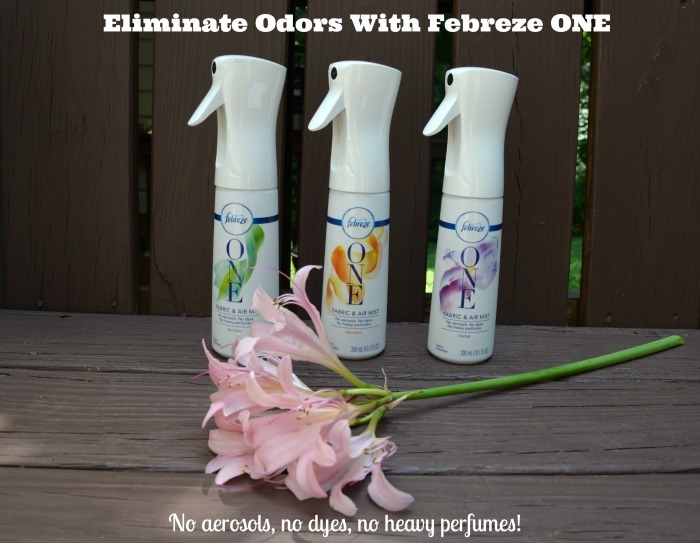 I just love the amazing odor elimination results from Febreze ONE with no aerosols, no dyes, and no heavy perfumes. I still get the same powerful ability to eliminate household odors as with other Febreze products, but I feel great about it’s gentler formula. I also love that Febreze One comes in a refillable package. You can reuse the nozzle to switch between other Febreze ONE scent refills which is a nice environmentally friendly feature. The light fresh scents that Febreze ONE comes in (Bamboo, Orchid, and Mandarin) are really important to me as well. I have never liked a strong perfume scent and I appreciate that Febreze ONE offers simple, single fragrance scents that are not overwhelming to your nose. Febreze is committed to transparency and you can see a list of their ingredients, alongside an explanation of what they are and what they do, on the Febreze website. 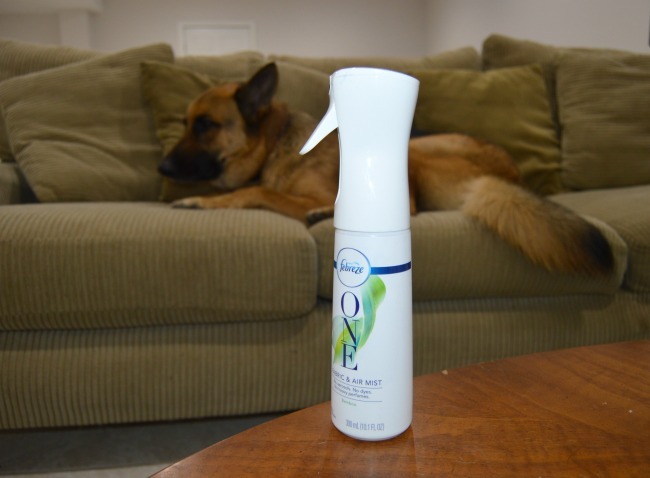 It is no wonder that Febreze ONE was named a Product of The Year winner for 2018​! Febreze ONE is easy to use and the unique spray nozzle provides an ultra-fine mist without aerosol with just a couple of pumps before you spray. It has lots of uses to eliminate household odors! 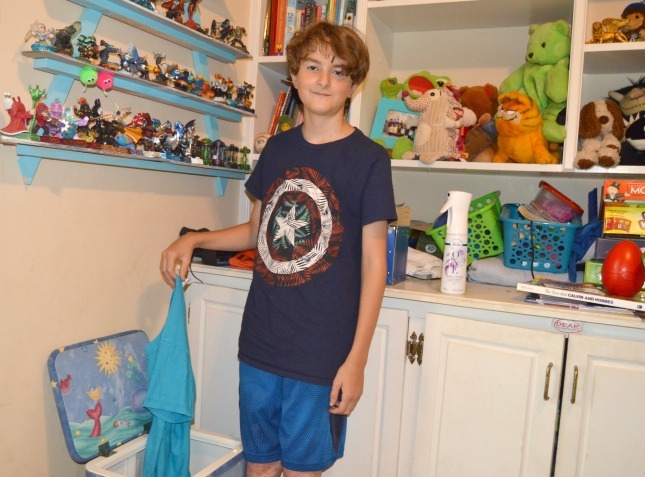 I do a quick 360 degree spray in my son’s room to clean away adolescent boy hamper odors. I keep a bottle of Febreze ONE on the top of all of my bathroom toilets so that no one has to feel embarrassed after they use the bathroom. I also love to use it in my kitchen as part of the clean up routine because many foods leave persistent smells in the air, like broccoli and tuna! It even came in handy in for use on our rental truck fabric after our summer New England road trip with our German Shepherd. How will you use your Febreze ONE? You can find out more information or order at febreze.com. You can find Febreze ONE Fabric & Air Mist at most retailers nationwide and it also comes in a Febreze ONE car vent clip! Click here to get a coupon! I think that Febreze ONE Fabric & Air Mist make great back to school gifts for teachers as well! Would you like to eliminate household odors? Which of the light scents appeals to you the most?